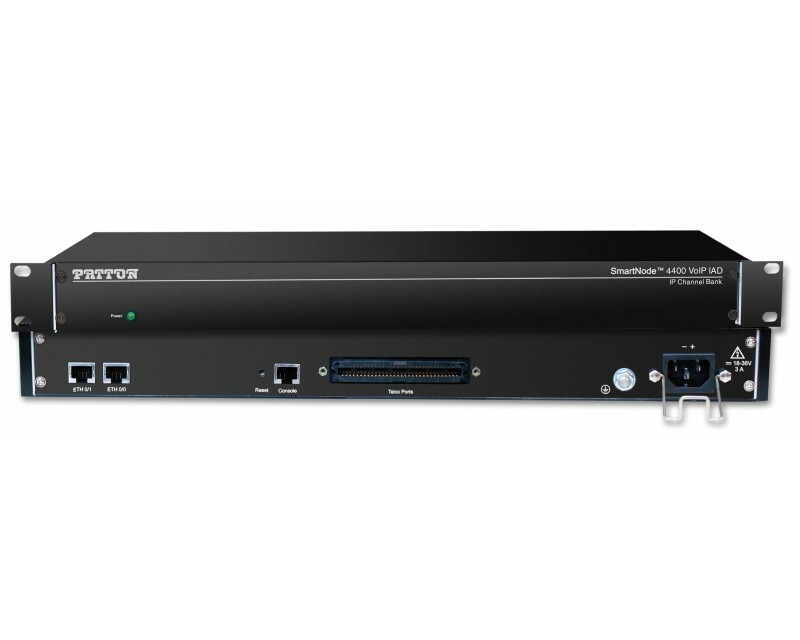 The SmartNode 4400 Series IpChannel Bank is the perfect business solution for applications requiring 12 to 32 concurrent analog voice/fax calls. The IpChannel Bank transforms any PBX system, analog call-center application, or ISP MDU service into a state-of-the-art packet-voice system without requiring costly equipment replacement or upgrades. There are several models in the SN4400 Series—ranging from 12 to 32 FXS ports. The SN4400 Series supports key industry-standard VoIP signaling protocols such as SIP, H.323, and T.38 Fax Relay—plus fax-bypass and modem-bypass. This ensures interoperability with the leading soft switches and VoIP services. Built-in Quality of Service (QoS) features include voice prioritization and traffic management via configurable service-policy profiles. Patton’s advanced DownStreamQoS ensures clear, uninterrupted voice—even over best-effort networks such as the Internet. Packet classification using 802.1p, TOS, and DiffServ makes integration with existing managed QoS networks easy.